Sanskrit singer Ranjan Bezbaruah seems to have established a permanent place for himself in Doordarshan (Sanskrit) Vartavalli programme on the country’s Independence Day and Republic Day. On Saturday at 7 pm he can be heard singing the Sanskrit version of AR Rahman’s patriotic song Maa Tujhe Salaam in the Vartavalli programme. It is also expected to be aired in DD Bharati and DD India. Bezbaruah said that the song had been translated by Narayan Dutt Mishra, guest faculty at the School of Sanskrit and Indic Studies, Jawaharlal Nehru University, New Delhi. Accompanying him is Pranjal Bora on the flute. In the past two years Bezbaruah has sung the Sanskrit rendition of Iqbal’s Saare jahan se accha Hindustan hamara and Mohammed Rafi’s patriotic song, Jahan daal daal par sone ke chidiya in Sanskrit. Both these songs in Sanskrit were aired by DD News in the past two years on Republic Day. Apart from these Bezbaruah has sung Madhuram Madhuram, a Sanskrit song which carries the tune of a Bihu song in the Vartavalli programme last April . “In keeping with the Bihu festivities, the song too sings of spring and awakening of new life of the trees, flowers and the joie de vivre which the Assamese new year ushers in, ” Bezbaruah, a Sanskrit scholar and teacher had said then. 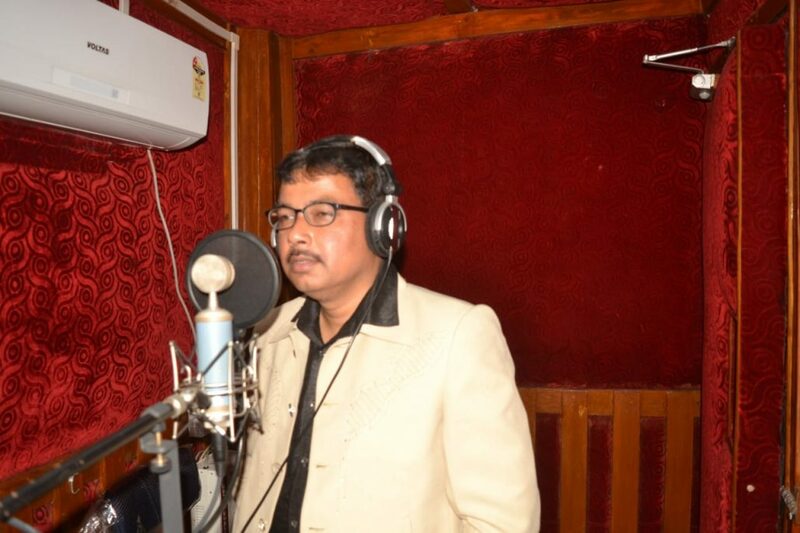 Bezbaruah’s avowed aim is to take the hits of Bhupen Hazarika and other greats like Jyoti Prasad Agarwala and Bishnu Rabha to the rest of the country by translating and singing them in Sanskrit without deviating from tune and the cadence. He has already made three discs containing the songs of Bhupen Hazarika and other lyricists which have gained him a niche following all over the country and the Middle East. For Bezbaruah, Sanskrit is that classical language which is the root of all languages and song is the medium which has no barriers. “Through the combination of Sanskrit and rhythm I would like to introduce the rich folk culture of Assam to the world, ” he said.